THE RPSI’s £4million Whitehead Railway Museum received top honours at the annual Heritage Railway Association awards dinner in Birmingham on February 10, scooping the prestigious Manisty Award for Excellence. 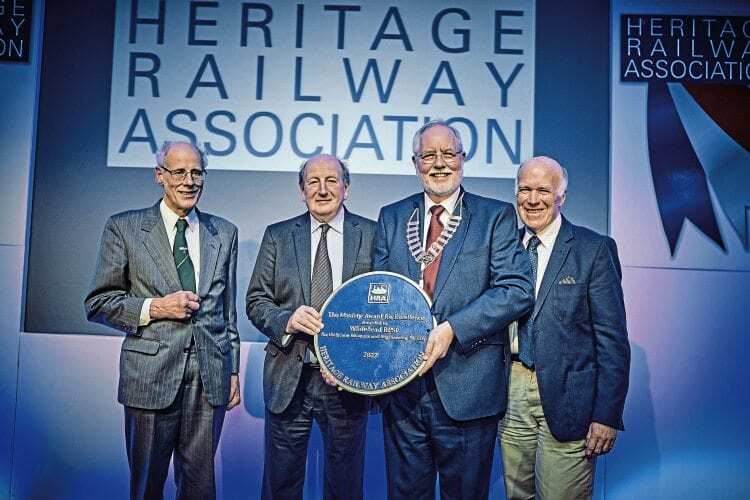 The ‘Manisty’ is the HRA’s most prestigious award, being presented on an occasional basis for an exceptional and outstanding contribution to railway preservation. For its 2017 awards, the HRA board made the unprecedented decision to present two Manisty Awards – one to the RPSI for Whitehead, and the other to the Swanage Railway in recognition of its achievement in returning passenger trains to Wareham from Swanage. Read more in the March issue of The RM – on sale now!